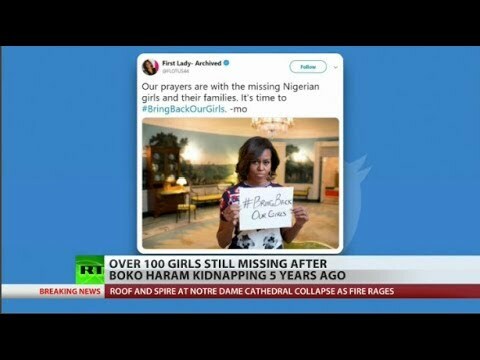 The terrorist group Boko Haram kidnapped 276 girls in northeastern Nigeria in 2014, sparking international outrage and calls for intervention. In the five years since, some girls have escaped or been returned through negotiation but more than 100 remain in the clutches of Boko Haram. RT America’s Rachel Blevins has the story for News.Views.Hughes.